Stephen is a native of Charleston, WV and studied Business Administration at Liberty University and West Virginia State College, where he earned his degree. Stephen has over Thirty years in construction trades, the last eighteen, of which has focused on Fire and Water Damage Restoration. 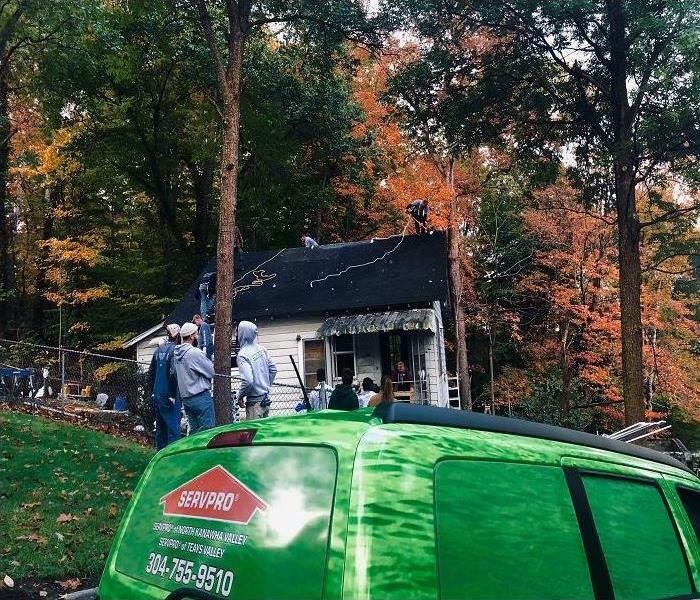 Stephen is a licensed General Contractor with the State of West Virginia, holds several Institute of Inspection Cleaning and Restoration Certifications (IICRC) and is a member of the Indoor Air Quality Association (IAQA) with an Accredited Certification as a Certified Microbial Remediation Supervisor (CMRS). Stephen also holds certificates in Indoor Air Environmentalist; Lead Paint Renovation, Repair and Painting; Applied Thermography; Subrogation; and the 10 hour OSHA course. Stephen and Julie have been married since 1995 and have three beautiful children. 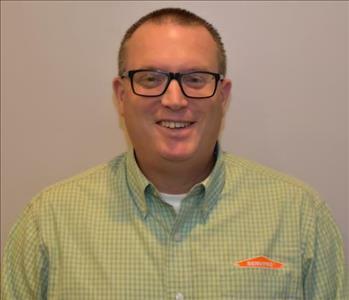 Tim McDaniel is our Commercial Restoration Consultant with19 years’ experience with SERVPRO. Tim was Crew Chief from 92-97 and returned in 2004 as Production Manager until 2011 when he took on his current position. Tim holds IICRC certification in Commercial Restoration, Fire Damage Restoration, Smoke and Odor Control, Water Damage Restoration, and Applied Structural Drying. Along with the IICRC certifications, Tim has his Lead Paint Renovation, Repair and Painting certification and Applied Thermography training certificate. He attended West Virginia State University studying Communications and Appalachian Bible College with a concentration in Youth Ministries. Tim is very active volunteering in the community with several causes including, The United Way, Relay For Life/American Cancer Society, Union Mission, Prestera, and the Kanawha Putnam Emergency Planning Committee (our local LEPC). Tim is also a member of the Charleston Area Alliance, Home Builders Association of Greater Charleston, Blue Goose International, and the Putnam County and South Charleston Chambers. 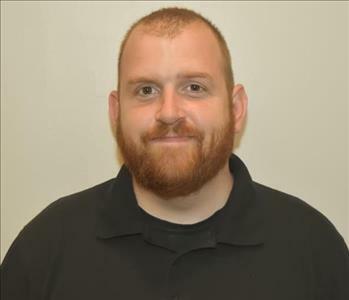 Louie Moore has been a Production Manager with SERVPRO since February of 2009 and holds IICRC certifications in: Water Damage Restoration, Applied Structural Drying, Applied Microbial Remediation, Commercial Drying, Fire Restoration, and Smoke Odor Control. Louie is also certified in Lead abatement, and is well versed in the area of mold cleanup and Applied Thermal Imaging. 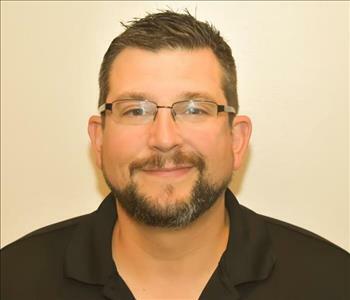 Louie is a life-long resident of Kanawha County and is very active in his local community serving as a coach of various baseball and basketball teams. He is an avid fisherman and loves spending time with his family. Mr. Moore is a proud alumnus of West Virginia University where he holds a Bachelor’s degree in Athletic Coaching/Physical Education with a minor in Communications. John is one of our Production Managers and has worked his way up the ladder as he started out as a production helper in 2012. 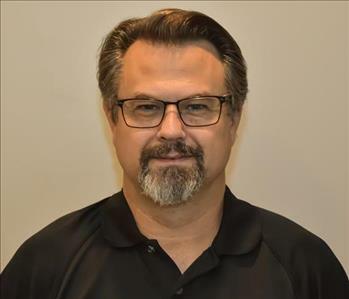 John is certified through the IICRC in Fire Restoration, Odor Control, Water Damage Restoration, Applied Microbial Remediation, Applied Structural Drying, and Commercial Drying, along with a certification in Forensic Remediation through the Research Sciences Academy. John is a native of St. Albans and a graduate of West Virginia University and he is a dedicated family man and enjoys spending quality time with his wife and daughter. 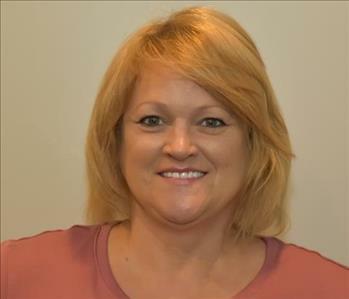 Sherri Arthur is the Production Assistant at SERVPRO with 7 years of faithful service. Sherri is the “voice” of SERVPRO; usually being the customers 1st impression of our company. She is very knowledgeable of the production side of our business and holds an IICRC certification in Water Damage Restoration as well as several certifications through our employee training program. Sheri is a very caring person and compassionate towards the ones who are calling in with a disaster in their home or business. Sherri came to us with over 30 years’ experience in the customer service field so she knows how to treat our customers. Sherri is very active in her Church and loves spending time with her kids and her grandchildren. Marsha functions as our Administrative Assistant and her duties include managing our accounts payable and accounts receivable as well as payroll and auditing duties. Marsha comes to SERVPRO with an extensive background in the accounting and secretarial fields and has become a great asset to our team. 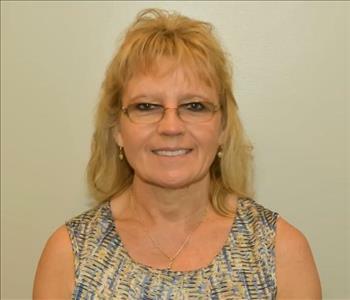 Marsha is a graduate of West Virginia State University with a BS/Accounting degree, and an AS/Accounting degree from Southern WV Community College. Marsha is originally from Logan County and is a graduate of Logan Senior High School. Marsha’s hobbies include spending time with family and friends, crocheting and making crafts as well as fishing. 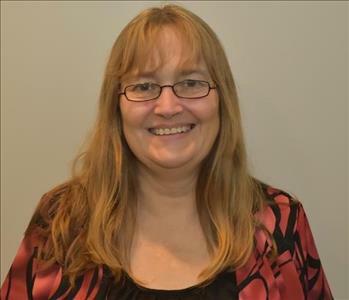 Debbie is our Marketing Support Coordinator and is the newest member of our office staff. She comes to us with 14 years’ experience in the construction field which serves her well as she doubles as our Construction Division Administrative Assistant. Debbie is a graduate of Hurricane High School and holds a degree in Business/Accounting from West Virginia Institute of Technology and her 35 years of accounting expertise helps keep our construction jobs on budget. Debbie loves the outdoors and regularly enjoys camping, rafting and kayaking. She also loves to travel and spending time with her grandchildren.